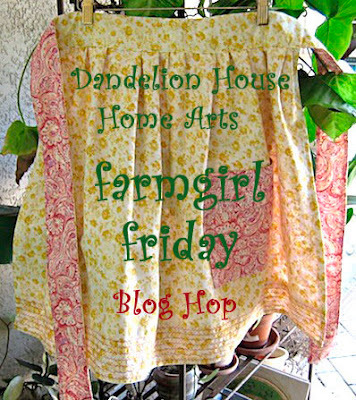 Happy Memorial Day Weekend and welcome to Farmgirl and Farm Friend Friday hosted by Dandelion House and Amy of Verde Farm! It was great to see so many wonderful entries last week! Everyone is busy as bee's welcoming spring on their farms and homesteads! We've been busy here at Dandelion House too! The sun finally came out this week and the new chicken run is up and ready for 8 new Americana chicks. I'm pumping up the patriotism in this weeks blog post for MaryJanesFarm on the BEACH farmgirl blog! Now it's time to link up for your weekly dose of farmgirl soul food! You know what to do girls! Don't forget to leave a note on the barn door on your way out! Have a wonderful weekend and GOD BLESS AMERICA! As always, thanks for looking and have a great weekend! Welcome to Farmgirl Friday and Farm Friend Friday! hosted by Amy of Verde Farm and yours truly! We missed those of you who couldn't join us due to bloggers difficulties last week. We are hoping to see you back this week and full of farm fun! Thanks to all who entered last week. Let's get the Farm Fun started! It's been a mix of rain and cool temps off and on for several days here in New England! I've officially dubbed this month "Gray May ". 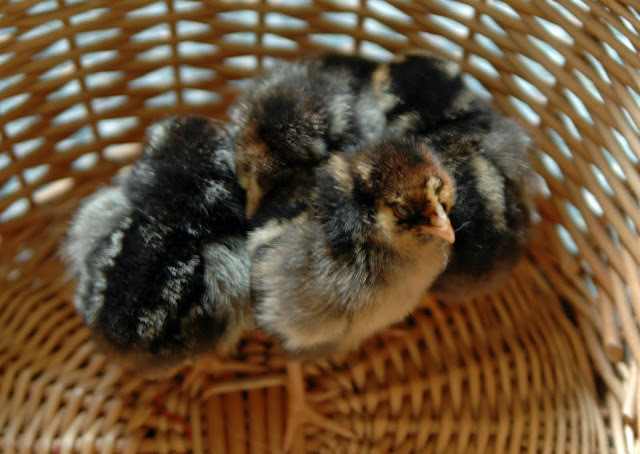 I feel just like our new baby chicks! We've been " cooped " up in the house waiting for the sun for nearly a week. Oh, it's made a few short appearances over the last couple of days but nothing to jump up and down about. In the meantime, the garden has been growing at warp speed while unfinished spring projects wait to be tended to. The sun popped out one day last week so I ran out to snap a few photos of our late spring bloomers and new growth in the garden. The Azalea shrubs are bright and cheery despite the clouds over head. The Clematis has loads of buds. Soon it will be covered in pink and white blossoms. The Tree Peonies will be dripping in soft, creamy white petals in just a few short weeks. I love the texture and color Sedum Autumn Joy brings to the garden in late summer, early fall. 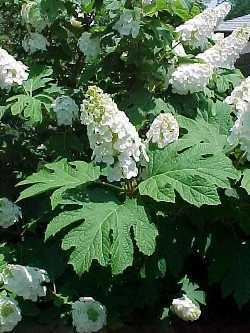 It can perk up a tired perennial garden or steel the show all on its own. It is stunning planted in rows as a small hedge or border. Soon the bright yellow faces of Yarrow will be mingling happily amongst the Lavender blossoms. This Oak Leaf Hydrangea shrub survived it's first winter in the garden and is leafing out beautifully! 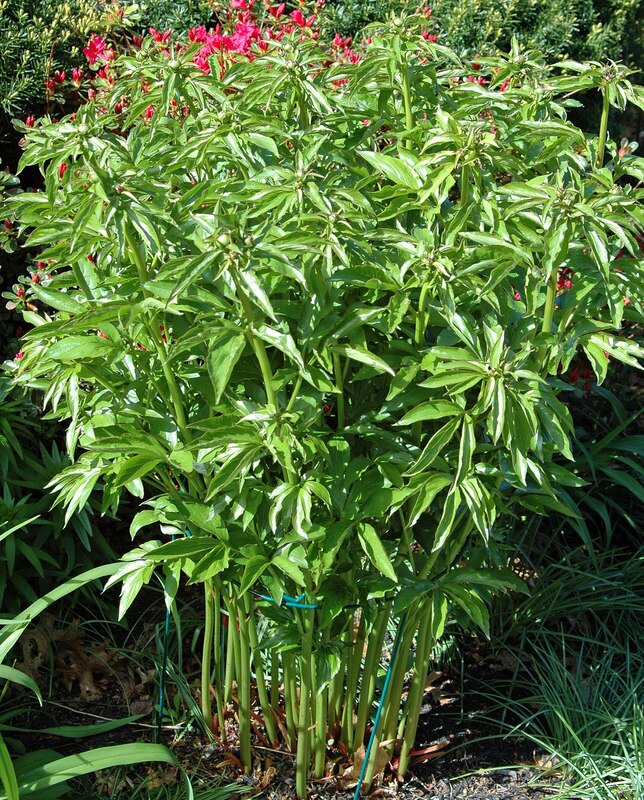 I chose it for its large cone shaped blossoms and burgundy colored foliage in the fall. Here's what it looks like in bloom! I've added several Catmint to the garden this year. 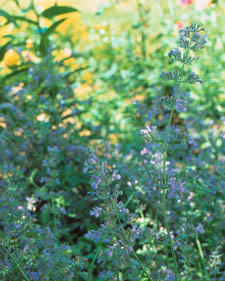 I love their minty scented leaves and the purple blossoms last spring through fall. This variety is called Nepeta Six Hills Giant. Photo credit Martha Stewart Home. 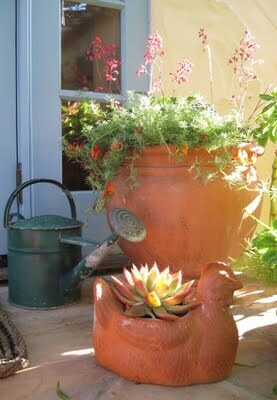 Containers wait for summer herbs and annuals. A new load of stone has been delivered so the "great wall of china" can be competed. Mr. Stone man is doing a wonderful job. Only a few more layers to go! 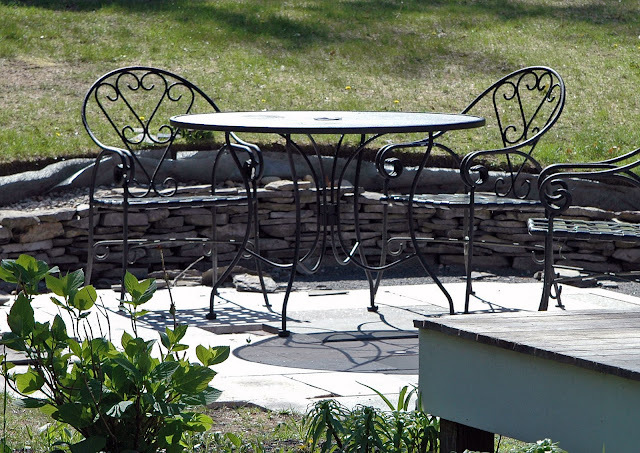 Here the Bee Balm and Butterfly Bush are soaking up the sun...Soon it will be us! It won't be long... right? What kind of spring weather are you having? Here's one of my favorite books for gardening in New England! I'm wishing you sunshine where ever you are and happy late spring gardening adventures! 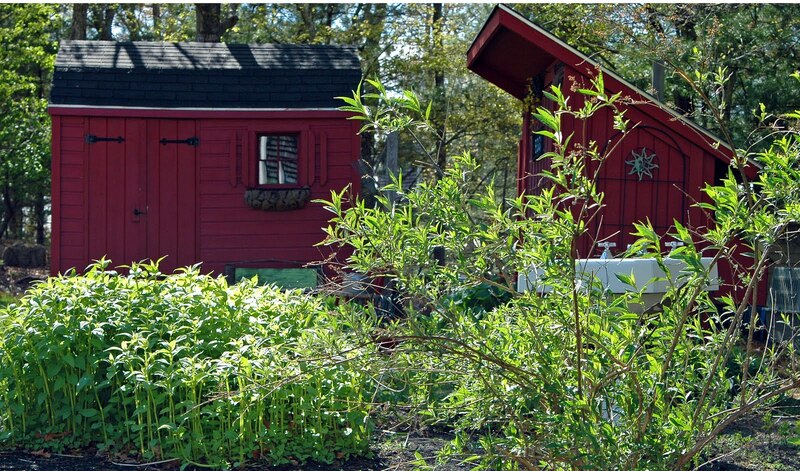 I'm linking this post to Brambleberry Cottage , Fertilizer Friday and the Homestead Barn Hop! Welcome to Farmgirl and Farm Friend blog hop # 7 hosted by ( me ) Dandelion House and Amy of Verde Farm! Sorry for the late entry time this week. Blogger was down most of yesterday and today. I'll keep this invite short and sweet so you can link up quick for your weekly dose of farmgirl soul food! Once again, I'm shouting out a BIG THANKS to all the friendly folks who link up each week. If you're new to the hop, be sure to set aside some time to visit and comment on the other entries. You'll love this community of friendly farmgirls, whether backyard, urban, rural, mountain and yes, even BEACH! We've just experienced a blossom explosion in our area of New England ! Some of my favorite mid Spring bloomers are putting on quite a show! This field is a sea of yellow flowers to which I have no idea the name of. Anyone? These Lilacs in bloom are such an interesting shade of purple. Can't you just smell their sweet scent? No other flower quite says spring like Lilacs. Grape Hyacinth dancing in the grass! And, the dunes are turning green too! It won't be long before the wild beach roses are in bloom again! I hope you are all enjoying a lovely mid spring medley of blossoms, whether in your own back yard, clay pot or your surrounding landscape or city scape! If you've ever wondered how to attract Hummingbirds into your garden go visit my friend, Sharon Lovejoy's Lowes blog post on how to create a fabulous Hummingbird Garden in a pot! I'll be back soon with NEW Garden snippets from Dandelion House! Happy Mother's Day whether you're a mother to two legged, 4 legged or all of the above! 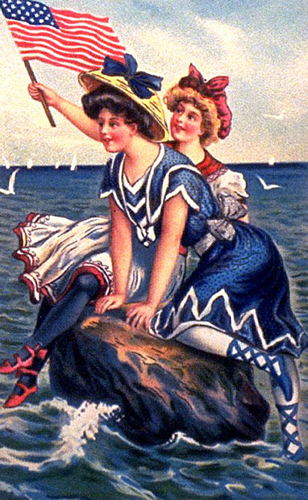 Can you believe it's farmgirl and Farm Friend Friday already? This blog hop is hosted by Amy of Verde Farm and little Ole' me. I want to welcome all new blog friends to Dandelion House. Thank you so much for joining me and for sharing your posts with us every week. The more the merrier! It's time to link up again for your weekly dose of farmgirl soul food! Thanks again to all who have added our buttons to your blogs and for linking back to the hop in your posts! Tell me, what was your favorite entry from last week? Were you inspired to try something new? Did someone make you laugh? Did you make new blog friends? I'd love to hear about it!